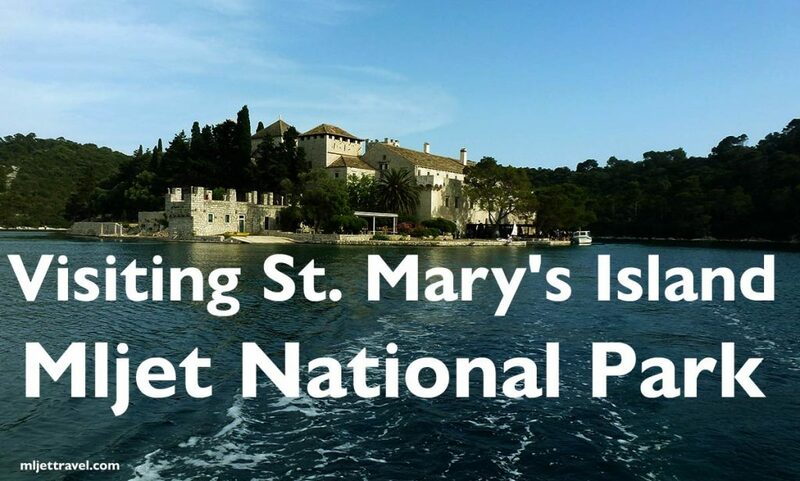 St Mary’s Island in Mljet National Park is a pretty little fairy tale islet featuring a picturesque Benedictine monastery. 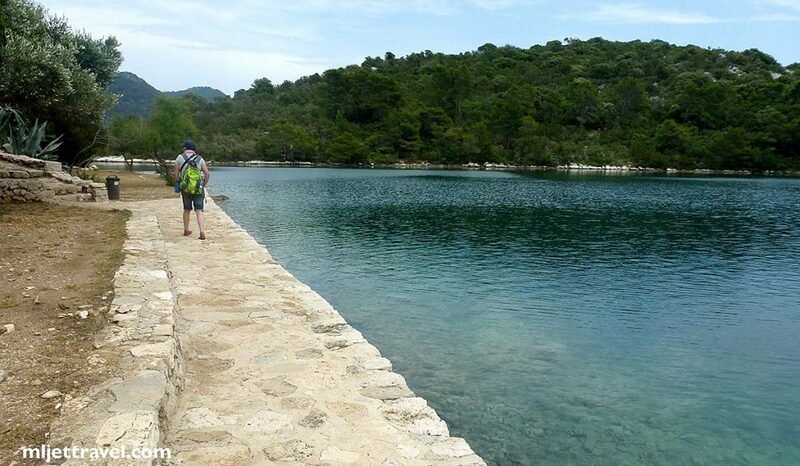 This popular spot is situated in the quiet corner of the Large Lake, within the Park itself, just a short boat trip ride from Mali Most (Small Lake). 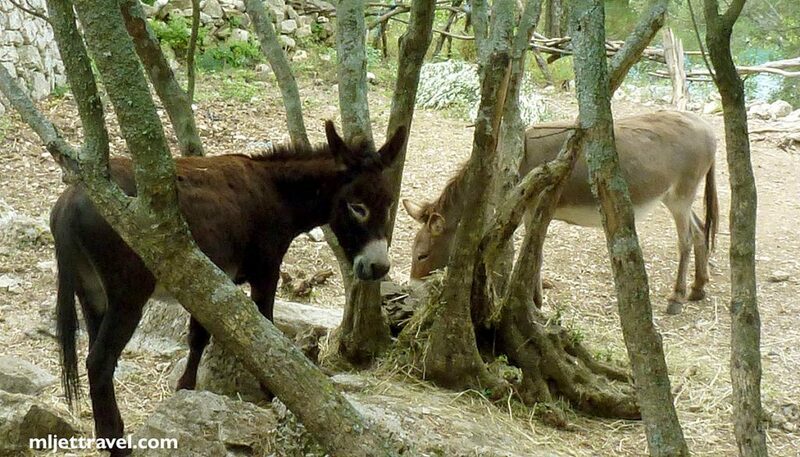 This is a lovely place to wander around the old Monastery, its grounds and ruins. 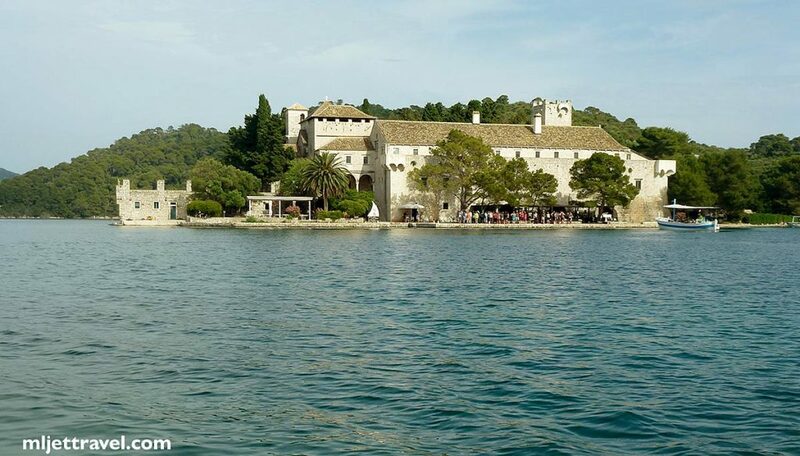 You will get some great views across the Lake from various spots around the island. A nice way to spend a couple of hours or indeed the whole afternoon where you can also go for a swim or snorkel if you wish. Although the island is only small you could really enjoy this beautiful place. 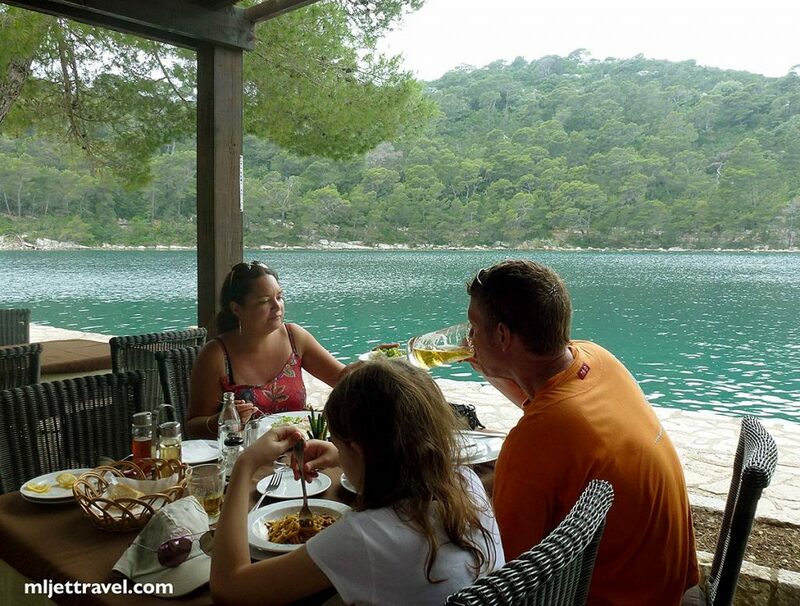 In the local restaurant ‘Melita’ you can get coffee and refreshments while enjoying your romantic and peaceful day. The fare for a boat ride is included in your entry to park ticket price, all you have to do is to show it to the boat captain. 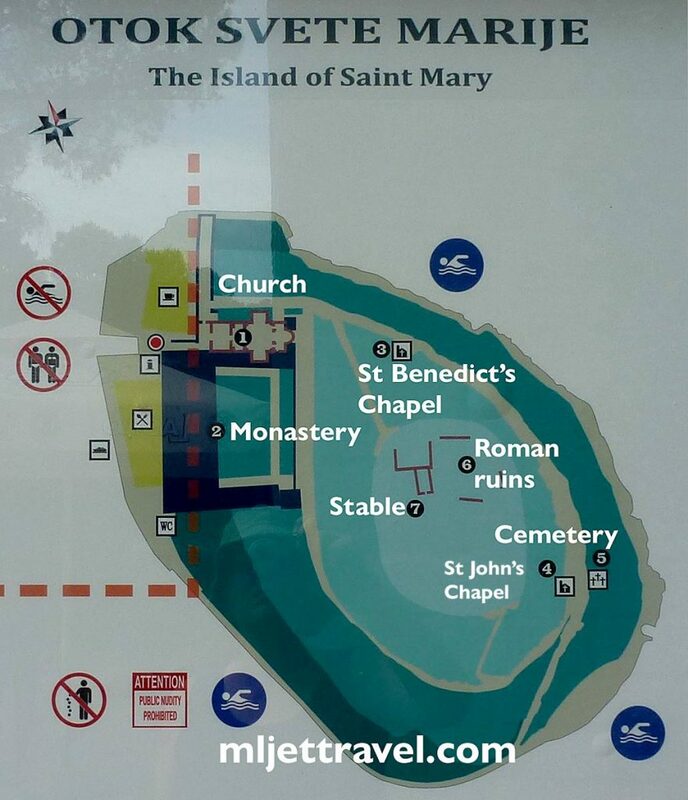 See how to get to this island page. 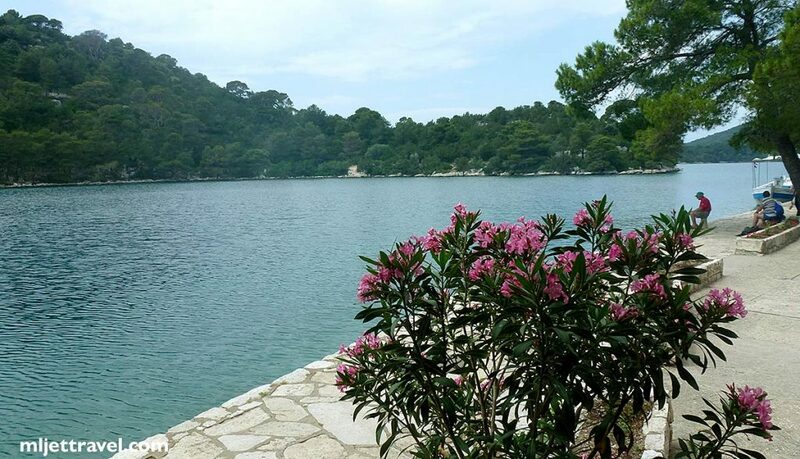 If you are staying for few days in Mljet, you may prefer visiting this lovely spot by bicycle. If you prefer to do this, just cycle to the nearest spot to the Islet and you will see the small jetty there, right across the Island. From there, if you wave an orange flag, the local skipper will come by small boat and will take you for a free boat ride over to the Island.